My mom is here with us for a holiday from India, and I wanted to take her on a vacation to the Caribbean… and Jamaica, was our choice to get some R & R.
Reggae & Rum Punch that is! Jamaica is God’s own heaven, you realize it even before the plane lands.. Get in the chill vibe, listen to the music and explore the island, smell the fresh air, pick pineapples on the way, and dance in the rain. Beauty surrounds you all the time, just get out of your resort and see the country. 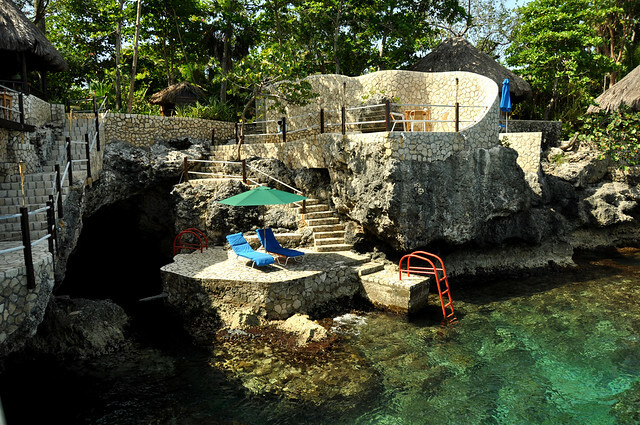 Rockhouse Hotel, Negril was my choice for the hotel for its award winning design and it was, as I called it, a room with a reef. 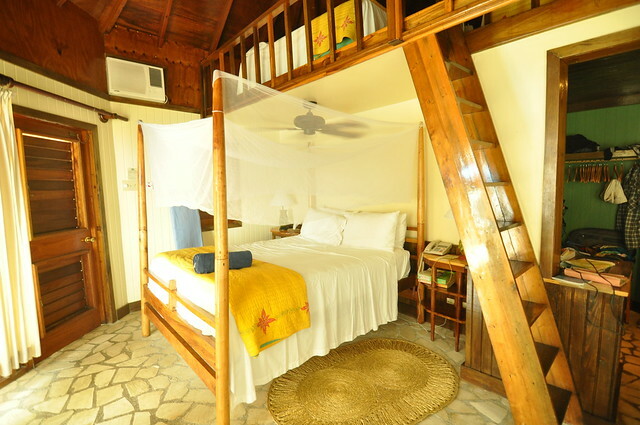 We stayed in a Villa with a loft to accommodate the three of us, with a lovely patio and a stairway leading to the ocean. 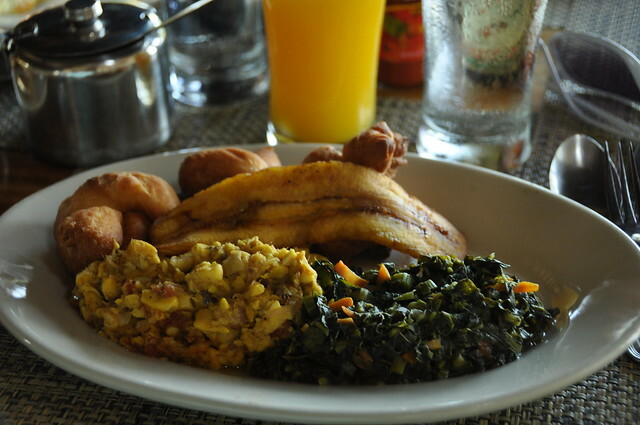 Jamaican breakfast: Ackee and Saltfish, Callaloo Fry, Fried Plaintain and Festival. And the freshly squeezed orange juice was one of my fav. Also bigups to the Pool Grill, a great place to chill and watch the sunset, around 3-7pm, where they serve a yummy Tender Coconut cocktail and grill jerk chicken. 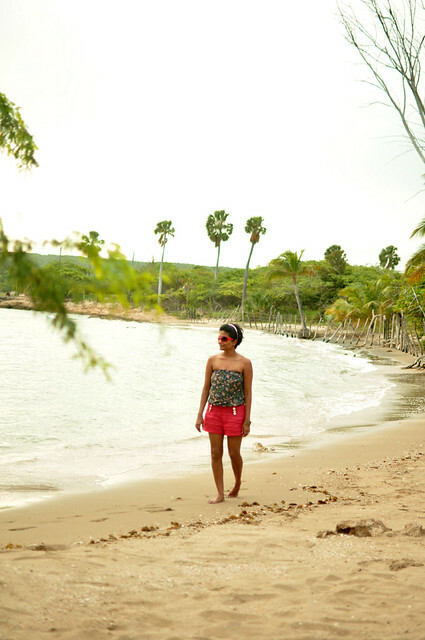 If you love the quiet and peace, calm waters with absolutely no one around, you will love Treasure Beach. 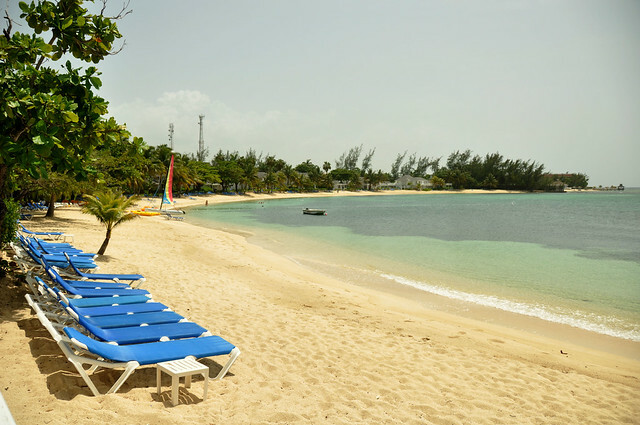 The waters aren’t clear as Montego Bay or Negril but like I said its the atmosphere and serene nature of the place that attracts you here. 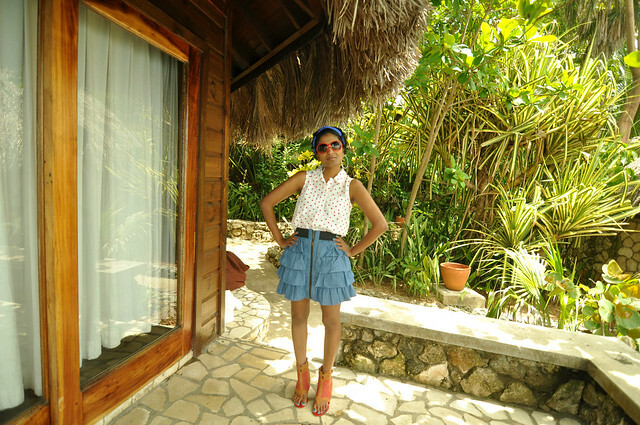 We stayed at Jakes, I had seen this property in a magazine and fell in love with the resort. I had to change our dates around depending on their availability. I think I have mentioned that I always decide my vacation based on my stay. 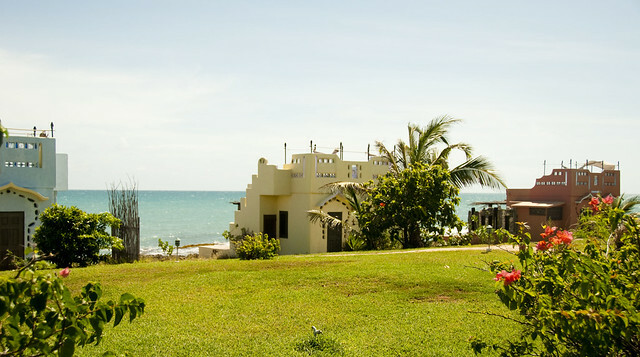 Its a very intimate property with less than 10 villas on the ocean, with a restaurant that has the freshest food, home made cakes and fine wines. Negril: Our tour guide Vincent picked us up by the waters under our patio, for a snorkelling trip to the nearby reef. 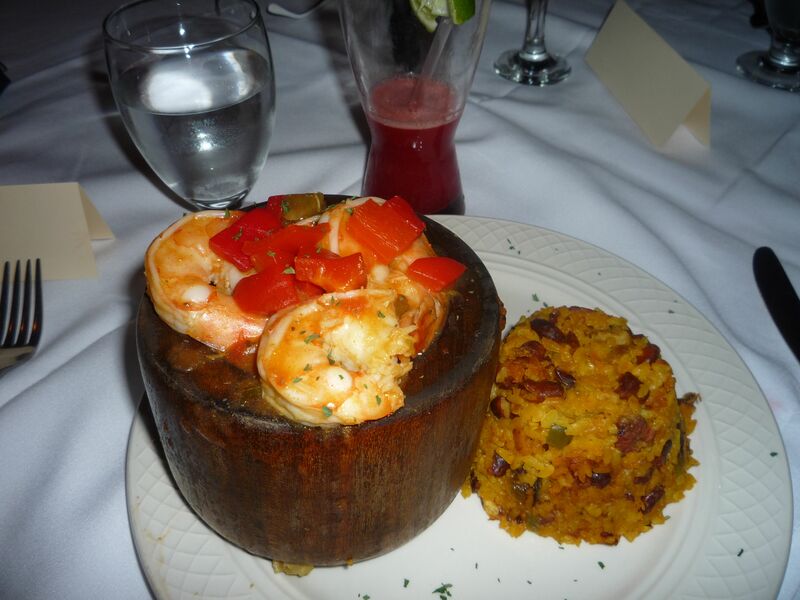 Recommended by the Rockhouse hotel, he was amazing. A great guide who was very patient with my mom as she was a first time snorkeler. I found this reef very unique, it was probably about 10-20 feet and we could see the corals very clearly. Saw a lot of schools of small fishes, colorful fishes, urchins, sea cucumbers (he made us touch it.. eeek), end of it, I loved that my mom was able to try something new in her life with me. 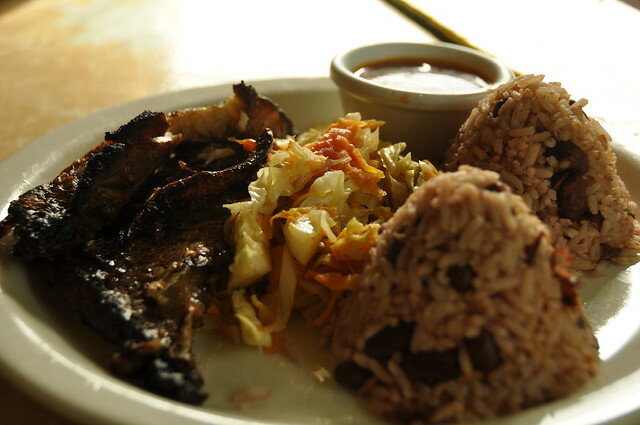 Ricks: Pack your swim suit to this swim bar/ reggae pub. 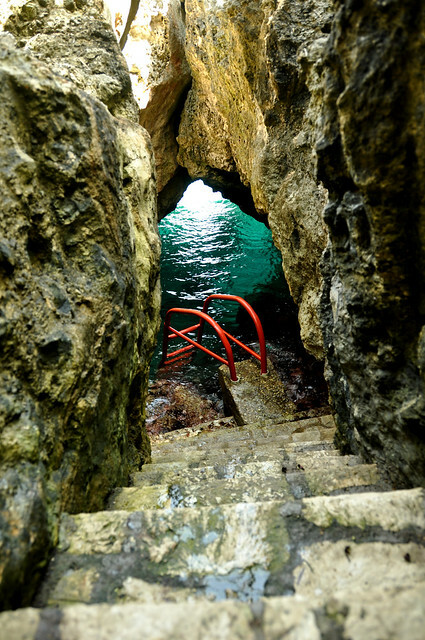 Watch divers jump off cliffs or participate along with them. 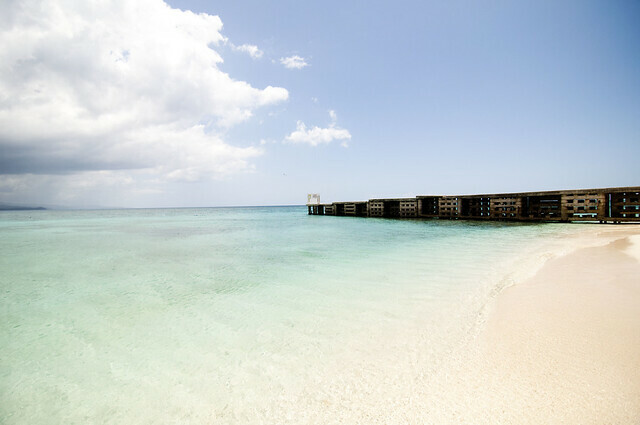 St.Elizabeth: Jakes can arrange a waterboat to the Pelican Bar that sits in the middle of the ocean. Growing up in India, I was surrounded by many waterfalls and we often used to go as a family. Standing under the waterfalls, letting the hard waters hit your head is a pure healing experience one must experience. To my luck there were two waterfalls planned in our trip. 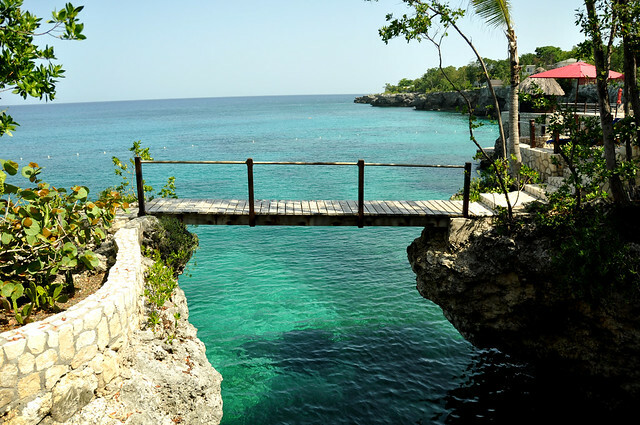 One near Negril, called Mayfield Falls. 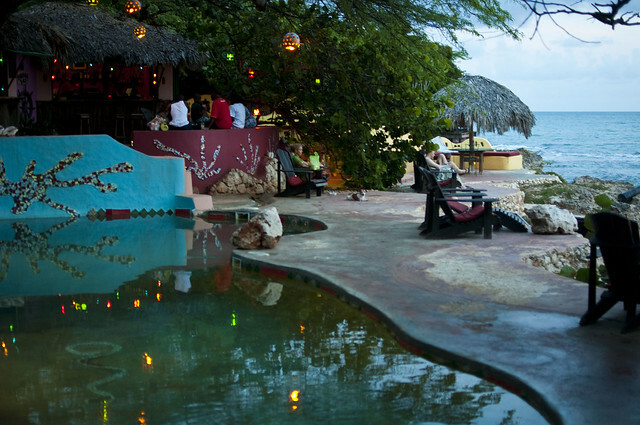 Its on an off-beaten path and you may have to ask your hotel or a tour guide, or Rent-A-Rasta to get here. We made the mistake of asking on the road and had a guy follow us all through out. Apparently these guys get a cut if they take guests to the falls, but its illegal and looks very suspicious. 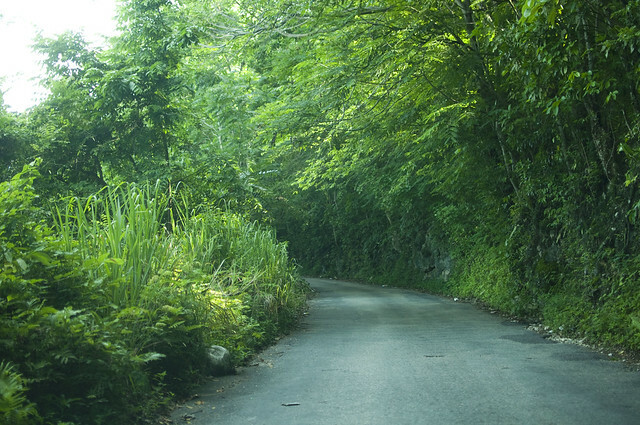 Mayfield Falls is truly a nature lover’s paradise – two beautiful waterfalls, 21 natural pools, 52 varieties of ferns, an abundance of exotic tropical flowers and plant species, and several types of birds, butterflies, and indigenous wildlife. The second Falls was near Treasure Beach, YS Falls. We went on zipline tours, and to see my mom hanging above the waterfalls was quiet a sight. 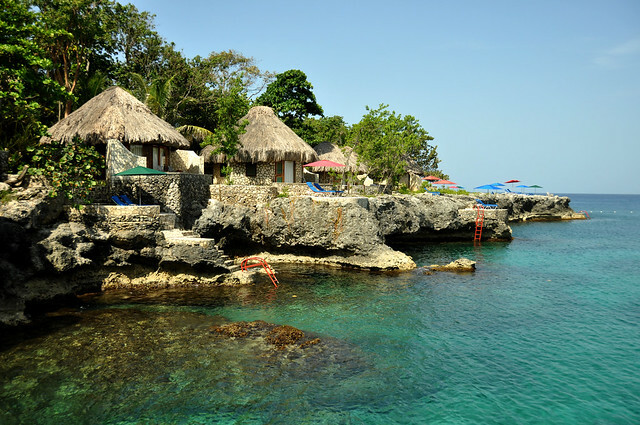 Negril is where we found a lot of live music bars, concert halls etc. 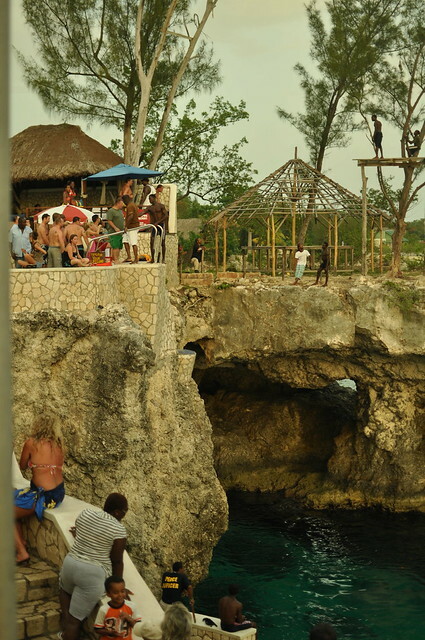 Pirates Cay – Much like Ricks, Cliff Dives. 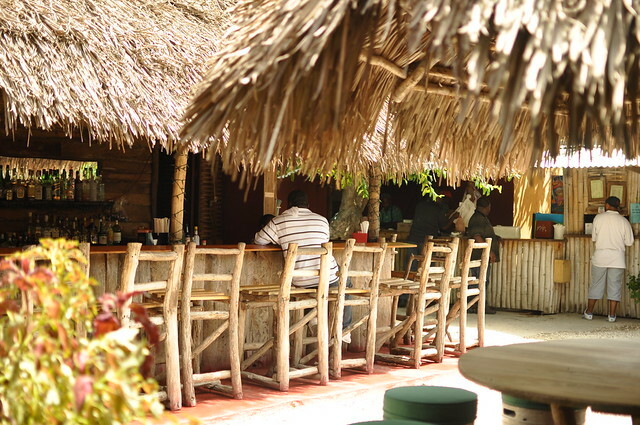 Treasure Beach – We were at Jack Sprat, a low key place with great music, food and beach and sunsets. 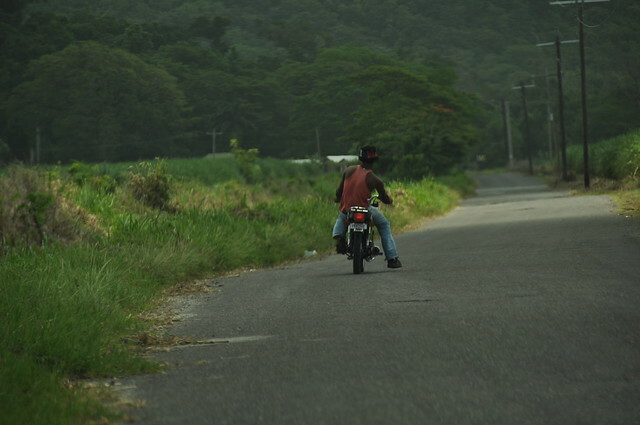 We covered half the island by road starting from Mo’ Bay to Negril to St. Elizabeth to Mo’ Bay and visiting many small towns inbetween: Lucea, Savanna la Mar, Black River.. Sun enjoyed driving in the winding roads and the lush vegetation, you can literally stop to pick turmeric, oranges, pineapple, mangoes. 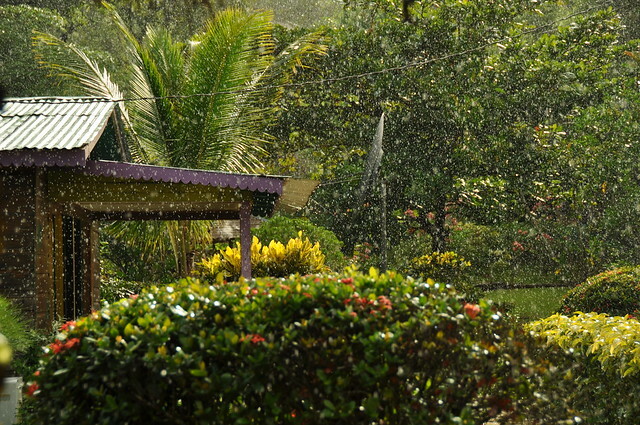 The weather changes every 60 km distance, it is hot & arid in the oceanside and cool & rainy in the mountainside. 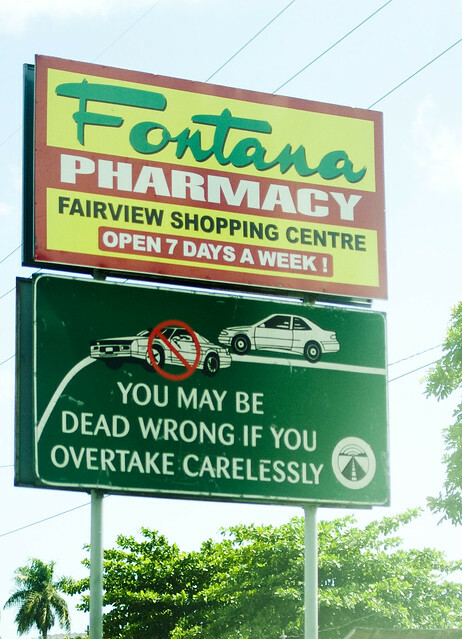 And the roads – its not for any faint drivers, two lane-two way traffic, and people overtake all the time. Even in this unconventional traffic, a cop stopped us for speeding, it was funny to watch Sun negotiate with the cops, but in the end the cop let us go even though he didn’t buy any of my husband’s stories of why he was speeding. 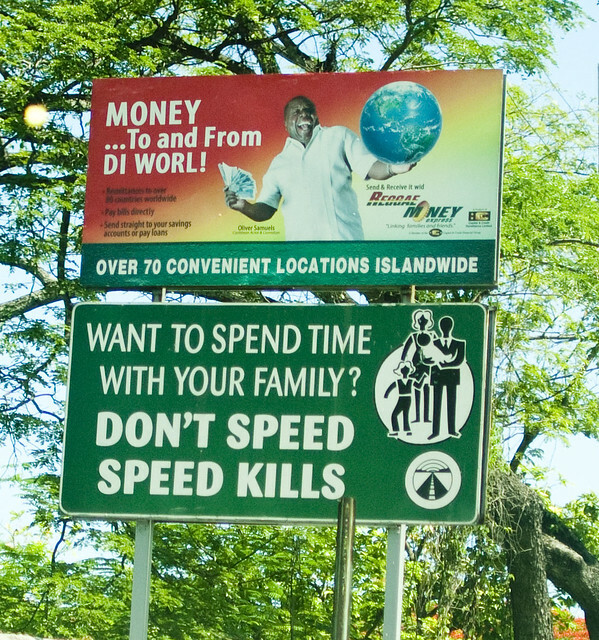 The roadside beer stalls and grocery stores kept us happy..
and right when you are relaxing these threatening road signs get you back..
JAH is known for Jerk Chicken and this jerk spot called Scotchies was very famous in Mo’ Bay, as read in T+L. 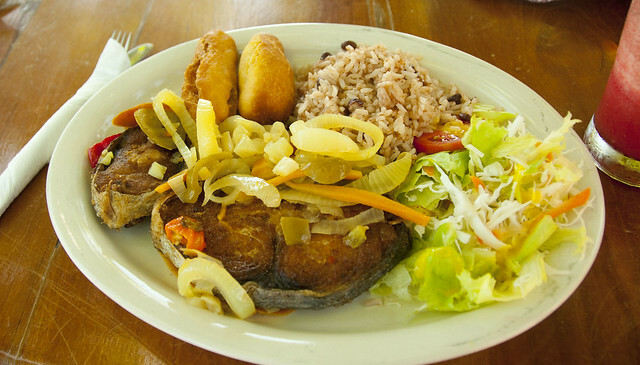 I thought the chicken was over rated, I liked Jerk Pork much better and loved this dish called Festival, which is, a fried dough dumpling. 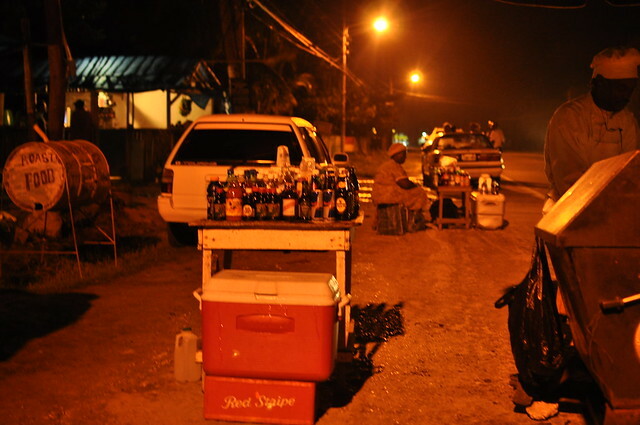 Rum Punch galore – the Appleton Rum is a local brand and the dark one is very potent. 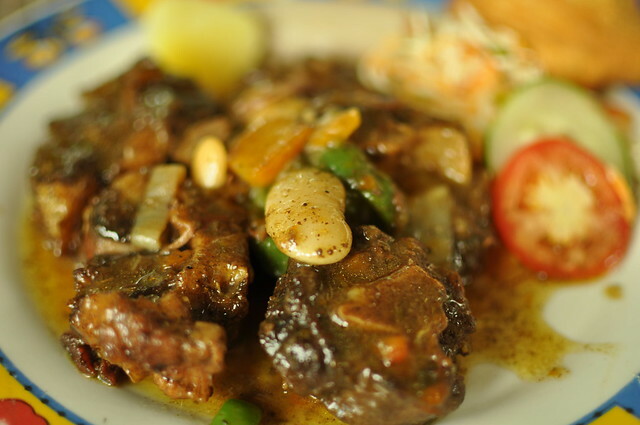 Oxtail Curry – we had this at a small cook spot near Rockhouse and just LOVED it. Must try! Fish, ofcourse! 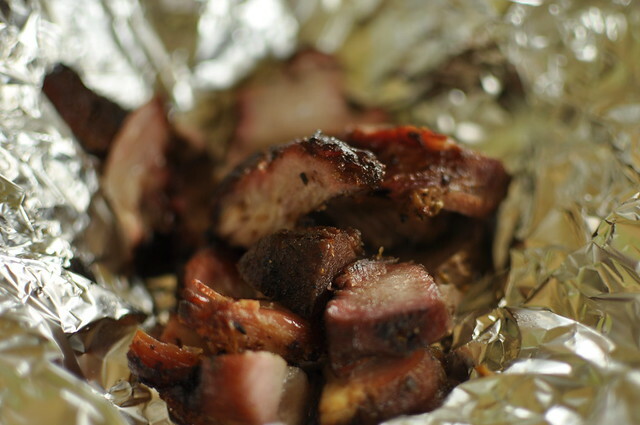 – Made with jerk seasoning and curry spices, its got a good mix of Carribean and Indian influences. 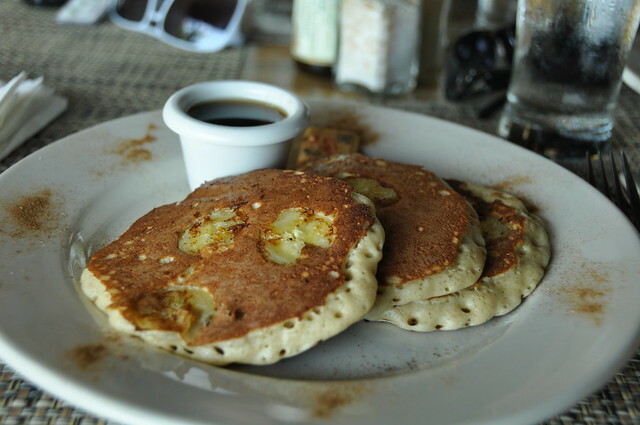 our taste buds were happy. 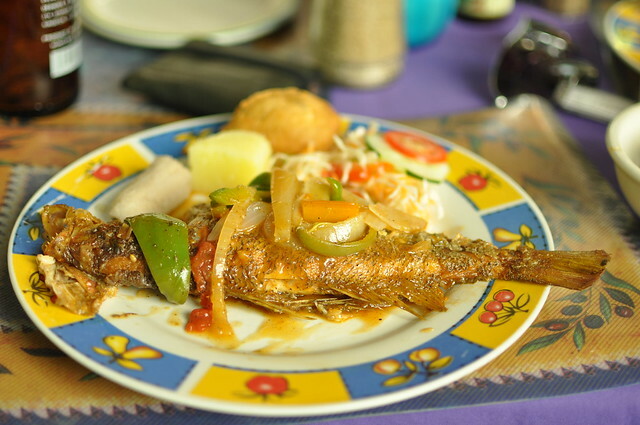 And King Fish Fry – anyone from India know what a southern delight this is! 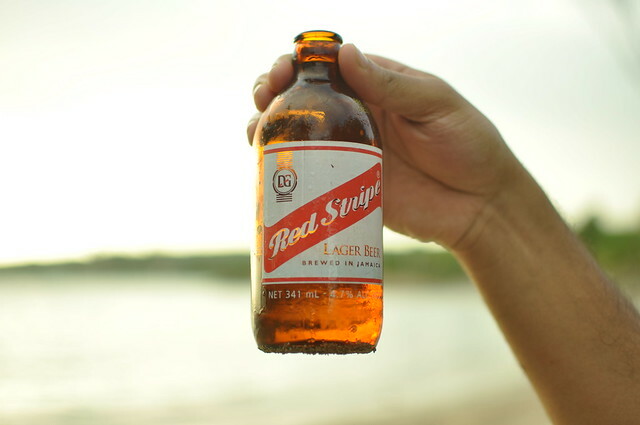 and without doubt Red Stripe is the way of life here..